Woodview's Ryan, Griffin, Bella, Sydney and Matthew tell their story of travel by ocean and land for the flamingo and the rabbit. Ralphie Ranger helps them decide which way to travel. Kaitlyn Ewe works as a high school youth leader, teaching teamwork and quick thinking on the nature scavenger hunt. Anika Garg shows leadership she gained during her 2015 Global Final experience. Concentration, teamwork and quick thinking! 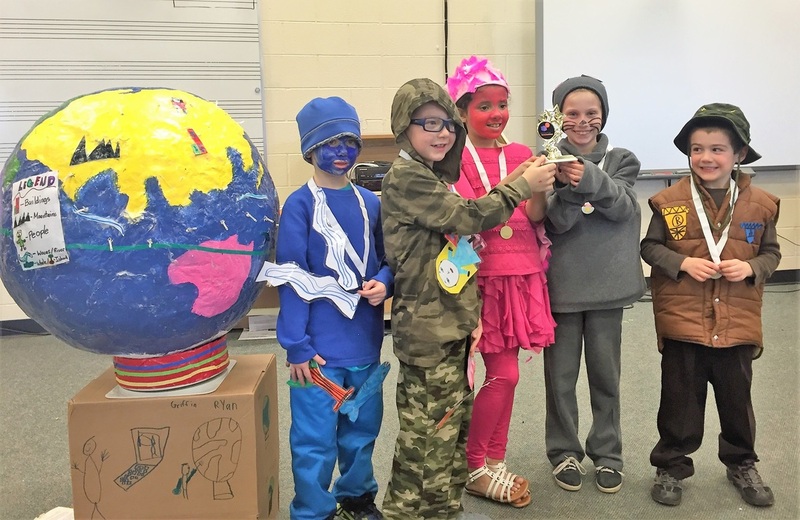 Destination ImagiNation (DI) is a Creative Problem Solving enrichment program in our Grafton School District. Students in grades 5K through 12 form teams of at least 2 members (maximum 7) that work together to create a solution to the challenge that has a focus on early learning, structure, science, fine arts, improv, service or engineering. That part, which always includes a skit and a structural, technical or theatrical element, is known as the Central Challenge. Competition also includes an Instant Challenge in which the teams have to think quickly and creatively to solve a challenge on tournament day - known as project based learning. 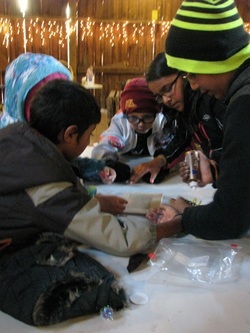 Participants build important lifelong skills in areas of STEM, problem solving, teamwork, and divergent thinking. DI runs from around November through March for 5K-2; possibly through May for grades 3-13. Interested in STEM (science, technology, engineering, math) skills? Enjoy collaboration? Then DI may be for you!!! Emma Parins shows great leadership to her scavenger hunt team.